Lennie is a large childlike man that has a mild mental disability. He relies on his friend George to protect and take care of him. Both men share the dream of owning a farm together someday. Since Lennie doesn't understand his own strength he cause many problems. This video shows Lennie and George talking about their dream of sharing a farm together. "If you don' want me I can go off in the hills an' find a cave. I can go away any time." I think Lennie says this because he feels like they don't want him around anymore because he keeps making so many mistakes and causing disasters. "They was so little," he said apologetically. "I’d pet ‘em, and pretty soon they bit my fingers and I pinched their heads a little and then they was dead—because they was so little. I wish’t we’d get the rabbits pretty soon, George. They ain’t so little." This quote shows how Lennie doesn't understand his strength and he hurts things without realizing. 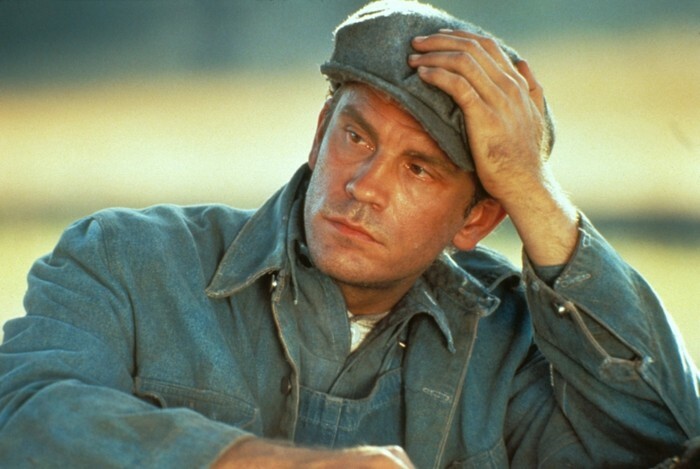 The theme that relates to Lennie is failure. 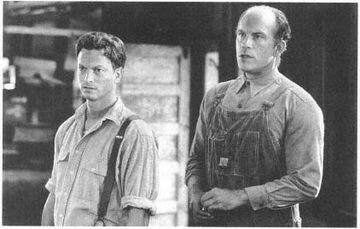 I think this because throughout the story we see Lennie fail many times. For example, when he kills the dogs or Curleys wife. Also he fails at his dream of owning a farm with George. Lennie Small quotes. Analysis of Lennie Small’s quotes from Of Mice and Men by PhD students from Stanford, Harvard, and Berkeley.